The WebSummit 2018 has started! Lisbon or more known as a “hub of startups”, again has gathered the exceptional people to talk about future, technologies, money and reboot the tech industry and the way business is conducted. This is a revolution of technologies and a new page in the entrepreneurial history. 70 000 of talented minds have come to Lisbon to share their winning techniques, ideas and business plans. A great number of countries and cities, thousands of successful entrepreneurs, creative startupers, experienced developers, brilliant speakers, powerful founders and CEOs, influential investors, leading journalist and heads of state united at the biggest technology conference to answer the question: what will the world look like in future? The opening ceremony has begun with the inspiring speech of WebSummit’s co-founder Paddy Cosgrave. The absolutely magical moment was when Paddy Cosgrave suggested attendees to start introducing themselves. Myriads of people started greeting each other. This showed a strong connection between people from all over the world and charged this conference with positive entrepreneurial vibes. Ukraine, Germany, Portugal, Croatia, Netherlands and many other countries have become one whole. After remarks by Paddy Cosgrave, on the stage appeared Sir Tim Berners-Lee, the inventor of the World Wide Web. He has encouraged companies and individuals to sign up to his “Contract for the Web” in order to defend a free internet, and at the same time asked people not to spread bullies and trolls but take responsibility for the content they share. She highlighted that Apple reached its goal and nowadays powers most of its operations with 100% renewable energy, however, they are still searching for new ways and ideas on how to protect the planet. After the speech of Lisa Jackson, the attendees have got an opportunity to learn from Darren Aronofsky (Protozoa Pictures) and Lauren Goode (Wired) about the technology of storytelling and find out their plans on launching more VR projects. Another influential speaker that shared his thoughts on digital future was United Nations Secretary-General António Guterres. He noted that the Internet and modern technologies have brought positive changes in many industries, and at the same time caused hatred based on race, gender, sexuality and ethnicity. António Guterres firmly declared: “Machines that are capable of attacking humanity must be packaged and banned.” With these words, UN Secretary-General Antonio Guterres called on innovators and developers to create the new systems that will nurture safe digital future and protect society from those who have bad intentions and would like to hurt people. Finally, with the pompous countdown and the performance of the largest Portuguese percussion orchestra, WebSummit has been inaugurated. That was a big day in the history of entrepreneurship when so many like-minded individuals got connected for the common goals and development of new ideas and technologies. The next four days of WebSummit will be not less impressive. Do not miss more speeches from successful founders and do not lose your chance to have some business talks with other entrepreneurs, startupers and investors personally! 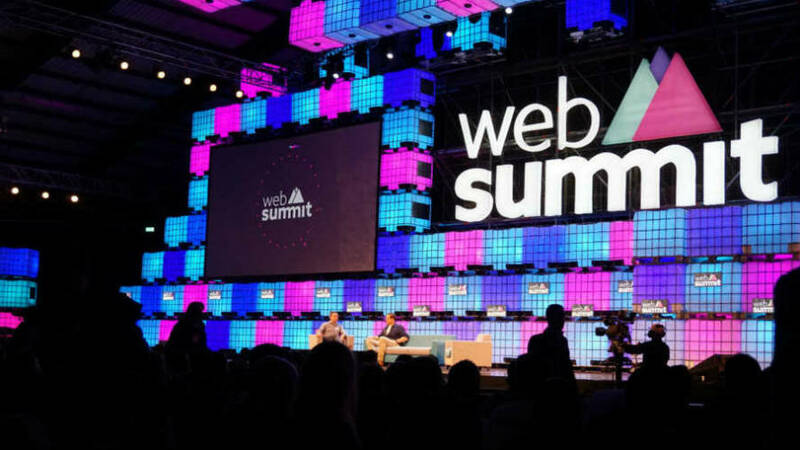 This entry was posted in Startup and tagged business, event, Startups, WebSummit. Bookmark the permalink.